There are a lot of hot springs in Japan. We went skiing in Tochigi prefecture, before that we took in a hot spring. 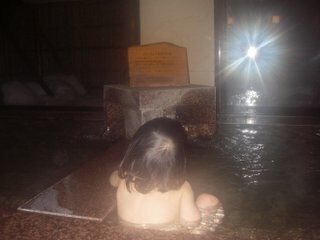 My younger son loves hot springs. Hot springs make us relaxed. 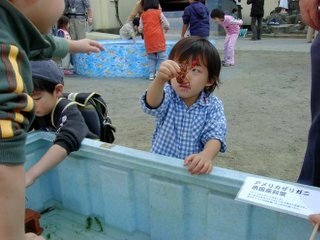 Japanese usually like hot springs.If you come over to Japan, you should try to visit a hot spring. If you don’t like public baths, you can choose private baths or Jacuzzi like pool. I thought nobody read my blog. Nobody posted my blog.Everyday I wait somebody comments. But I found it was mistaking. 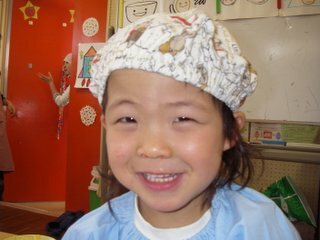 I am Japanese. But blog's setting word uses in English. I didn't know my comments's setting mistook. From today, I start to read your previous comments. Please give me time. And please give me comments. The commercials were very disturbing. My sons like McDonald’s commercials. Because they like happy meals which have free gifts. But I don’t like them. They make our room messy. And they get tired of toys. Therefore I have to throw away the toys. So my sons make me angry. 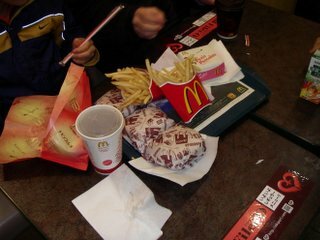 We shouldn’t buy happy meals. But sometimes my younger son wants happy meals, so he crys. My youngest son missed his snack in his preschool yesterday. Because he couldn’t change his cloths though he had enough time.His teacher said he got really hot. I felt so tired last Saturday. My husband wanted to go skiing. But I was getting cold feet about our trip. When I was really upset about my job, It kind of boiled over a bit. But I met my son, he got me warmed up with his smile and stuff. There are no TV game in my house. Santa Claus did not give it to my older son either. 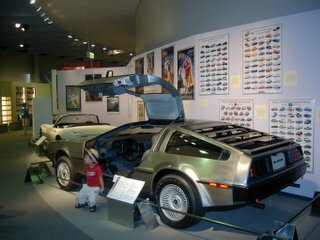 My older son is nine years old. 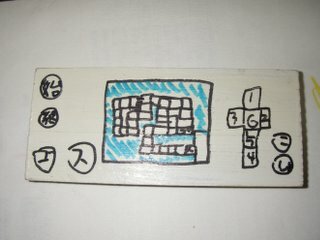 He made this toy in his art school. Maybe his friends have TV games. But I hope he plays as long as possible with other toys. I think lots of parensts have different opinions. 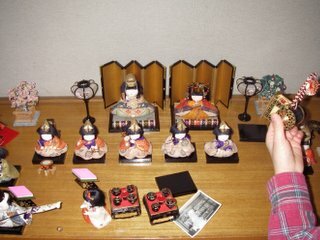 We decorated the dolls which were bought by my parent. 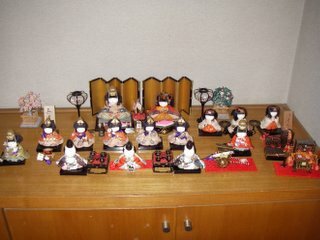 March third is the Doll’s Festival which is Japanese traditional custom. We celebrate girls happiness. That’s why my sons don’t have dolls. But they wanted to decorate them. 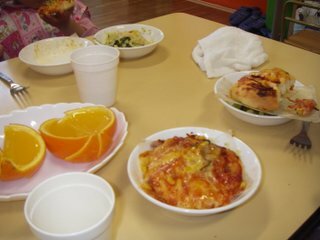 I and my younger son went to a cooking class which was opened by his preschool. 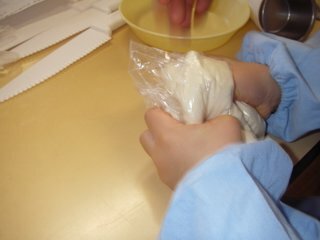 We learned cooking pizza. Usually we bought pizza from shops. Therefor my son enyoyed cooking like playing clay. And we could make yummy pizza . By the way, now it is Olympic year in Italy. 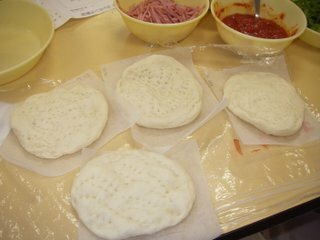 I want to eat real Italian pizza in Italy. There are a lot of earthquakes in Japan. They said someday there must be a big earthquake in Tokyo. If there is a big earthquake, a lot of people would die. I and my husband is in each office. My sons go to a school and a preschool. The trains will stop. Perhaps we can’t pick up them. I imagine a lot of things and troubles, so it makes me scared. We have to prepare for emergency goods. Water, foods, diapers, and stuff. From last Saturday, winter Olympic has began. I enjoy to watch it. Every night I wanted to watch some Olympic games. But I can’t sit up midnight. Japan has time difference Italy and Japan. I might not get over time difference. I can't watch live. By the way Japan doesn’t get Olympic medal yet. Better luck tonight!! Yesterday, it was the day that women give men a chocolate or some presents in Japan . I expected that my oldest son got some chocolates. As soon as he came back home, I asked him “Did you get any chocolates?”. He answered “No”. And he is just nine years old. His birthday is christmas eve. I think he will be popular with girls someday. My grandfather’s house is very old. It was built about 1863. 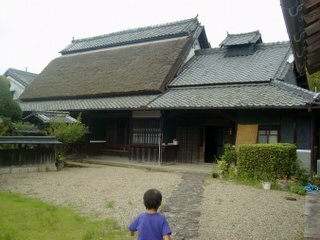 It is a very traditional Japanese house, whose roof is thatched. My mother was born in this house. 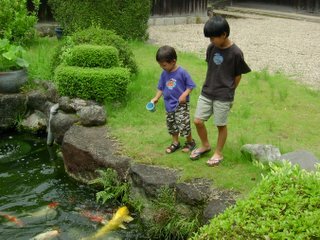 When I was a child, I played in this house and this garden which is traditional Japanese style too. There are big carp in a pond. There are big garden lanterns which made of rock. Now my aunt lives in this big house alone. Last summer we visited Nara city, which is my parents' native city. Therefore, we went to Nara Park. 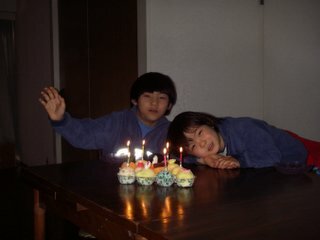 When I was young, I stayed my glandparent’s house in summer vacation. And I used to watch deer, which are very famous. 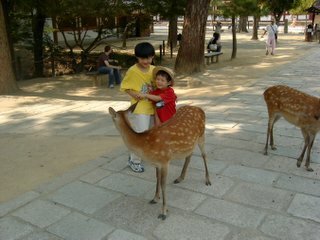 Nara park’s deer like senbei, which is like biscuits in Nara Park. And there are a lot of deer. If we take senbei, they walk for our senbei. When I was young, I was so scared them. Especially male deer which have a big horns. 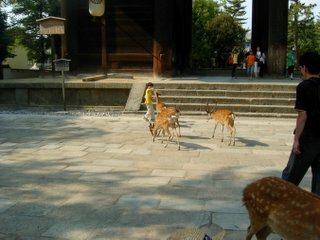 And there are dear which are so active to close Todaiji temple. You can buy senbi for 100yen in Nara Park. How do couples traditionally get together in Japan? Their parents made their daughters or sons meet someone who is their friends acquaintance. I heard when my mother was 18 years old and my father was 23 years old. They married. My paternal grandfather asked my maternal grandfather to want the daughter(my mother). If I was my mother, I couldn’t accept it. Have you heard about any matching services in Japan? Yes, I have. Matchmaking services are big business in Japan. I read it advertisements sometimes. For example newspapers ad, hanging ad in the trains, TV commercial, and staff. Do you think companies should allow coworkers to start seeing each other? Yes, I do. But we should be careful about seeing someone who belongs to a competitor company. Have you ever set someone up on a blind date? No, I haven’t. I think it is tasteless. Why do you think some people find it difficult to meet someone special? Their hope are too high to find a special person. They have a dream which is dramatic to see someone. What advice would you give to a single friend who wanted to find a partner. You ask your close friends to introduce someone, and you make many friends. Therefore you might find your partnerin them. Before my husband went to bed last night, he said “I feel so cold”. This morning he couldn't get up. And he couldn’t go to a doctor. So I brought a tissue hr had used to the the doctor for check flu. The doctor said he has the flu. I and my sons had the vaccination two months ago. But he didn’t have it. And his job makes him tired. Also he has not been sleeping enough. He should rest for several days. Probably he will go to work next Monday, if he isn't well.